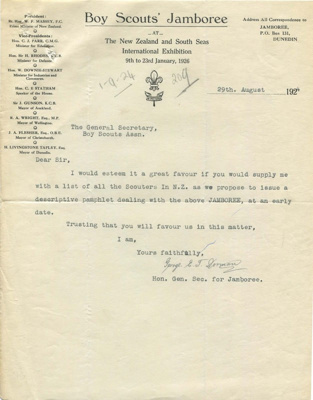 Letter from Mr. G Dorman, General Secretary for the Jamboree to Major Furby, the General Secretary for Scouts , requesting a list of all scout leaders in new Zealand so they could commence sending out promotional material regarding the proposed 1926 event. 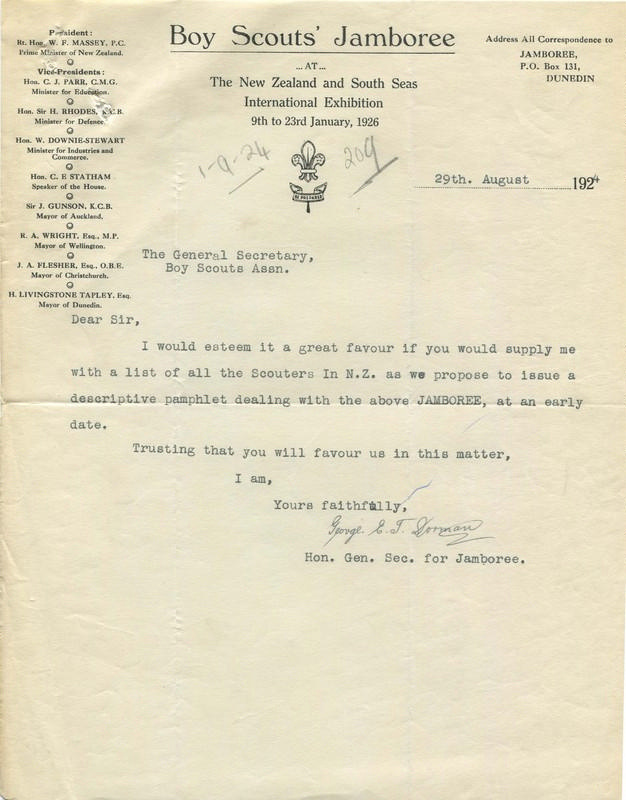 Note the letterhead is specific for the Jamboree and is the first of two used. In this case, Massey is noted as Prime Minister and President for the Jamboree.